About: Cindy was born and raised in Houston, Texas. She’s always valued the importance of education and continual learning. Cindy has a heart for community service and educating the underserved population. She graduated from Baylor University with a Bachelor of Science in Biology and earned her Doctor of Pharmacy from Texas Tech University School of Pharmacy. She is currently pursuing her Master of Science in Pharmacy Leadership and Administration at University of Houston College of Pharmacy. With her strong faith, she believes she can do anything she puts her mind to and believes that no dream is too big and no vision is too great. She hopes to mentor pharmacy students and inspire other female leaders. Her career interests include medication safety and pharmacy operations. She loves to dance and, while in college, founded Baylor’s first hip-hop organization. Why Harris Health System: Cindy was drawn to the diverse patient population and culture and the opportunity to make an impact in the most elite medical center in the nation. Harris Health’s underserved population includes some of the most at-risk patients in healthcare. Cindy believes her interventions can have profound effects on patient lives. Because Harris Health is a teaching institution, it provides unique experiences while providing an environment that is conducive for learning. Harris Health provides well-rounded exposure and education in many facets of pharmacy. The preceptors are highly knowledgeable of their specialties and many of them are adjunct faculty at the local pharmacy schools. Cindy also was drawn to the extensive administration exposure that Harris Health provides, giving her the opportunity to develop business acumen at a nonprofit 340B organization and sharpen her leadership skills. About: Elizabeth was born in Caracas, Venezuela. At the age of seven, her family moved to the U.S. where she spent most of her life in Texas. She graduated from Texas A&M University with a Bachelor of Science in Interdisciplinary Studies. During her time at Texas A&M, she joined the Texas A&M Corps of Cadets and earned her certificate in Leadership Study and Development. 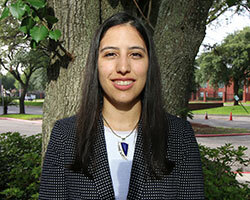 Elizabeth went on to earn her Doctor of Pharmacy degree from the University of Houston College of Pharmacy. 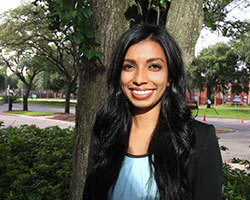 She is currently pursuing her Masters of Science degree in Pharmacy Leadership and Administration at the University of Houston College of Pharmacy. Professionally, Elizabeth’s growing interests include medication safety, pharmacy operations, and leadership development. During her free time, she loves spending time outdoors, working on arts and crafts projects, and spending time with friends and family. Why Harris Health System: What stood out the most to Elizabeth about Harris Health is the dedication and compassion displayed in the care provided to all patients, and the commitment to training future generations of healthcare professionals. Harris Health offers a wide variety of rotational experiences, both inpatient and outpatient, along with the opportunity to work alongside and learn from experts leading the field of medicine. While each resident’s experience is unique, every resident of Harris Health is an integral part of a team of professionals who are constantly moving forward, advancing the healthcare profession through innovative thinking to provide the best care to every patient. About: David was born and raised in Houston, TX and earned his Doctor of Pharmacy degree from the University of Houston College of Pharmacy. David is passionate about leadership development and appreciates opportunities that allow him to grow both as a person and as a practitioner. During his free time, David enjoys traveling, playing tennis, and learning about new cultures, especially through their food. Upon completion of his residency, David aspires to begin a career as a clinical pharmacy specialist with an opportunity to precept and mentor pharmacy students. Why Harris Health System: During one of his APPE rotations as a student, David was able to experience Harris Health System and its commitment to providing compassionate patient care. 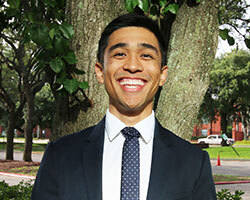 David values learning through hands-on experience, and therefore he was naturally drawn to the well-rounded experiences available at Harris Health that would maximize his growth as a pharmacist. The system is unique in its ability to offer comprehensive training in both inpatient and outpatient settings. Additionally, since Harris Health is a teaching institution, there are robust opportunities for multidisciplinary learning and collaboration. These features, combined with the underserved population present in Harris County, provide ample opportunities to not only learn, but also to give back and serve the underserved residents of Houston. About: A Texas native, Lauren attended undergraduate in Austin before earning her Doctor of Pharmacy from the University of New Mexico College of Pharmacy in Albuquerque. While in New Mexico, she garnered a distinct appreciation for rural communities in underserved populations. Lauren is excited to be back to her Texas roots and further her clinical experience here at Harris Health System. Lauren has a baseline interest in oncology and medication safety and is interested in pursuing specialty training in those areas. When she isn't serving her community, Lauren is active in several professional pharmacy organizations, and in her free time enjoys jogging, hiking, and camping with her friends. Already a frequent traveler to Europe, Lauren hopes to experience many other locations and cultures across the globe. Why Harris Health System: Lauren was drawn to Harris Health System for its outstanding reputation as a thought leader on the cutting edge of clinical practice, its dual emphasis on acute and ambulatory care, and the opportunity to treat underserved communities in both settings. With clinics spanning across Houston, Harris Health System allows for unique experiences in treating uncontrolled diseases in patients with limited resources. 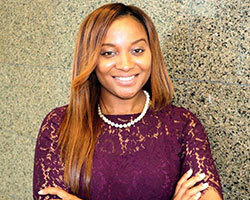 Completing a residency at Harris Health System will provide her with the necessary skills to make clinical decisions alongside some of the most skilled and respected pharmacists in Texas, experience she intends to leverage to build her professional practice and serve the community as a whole as a clinical pharmacist. About: Abdul grew up in Missouri City, Texas. He attended the University of Texas at Austin and received a bachelor’s degree in Microbiology. Following the completion of his undergraduate degree, Abdul worked as a Research Assistant II at Baylor College of Medicine contributing to the mapping of the human genome. After completion of this exciting project, Abdul went to graduate school in the Midwest and received his Masters in Biochemistry at the University of Illinois at Urbana-Champaign. Following graduation, he contributed in melanoma cancer research project at University of Texas MD Anderson Cancer Center as Senior Research Assistant. 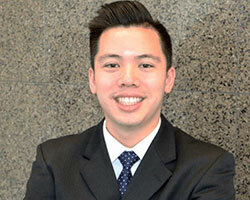 This initial exposure to clinical environment and direct patient care led him to pharmacy. 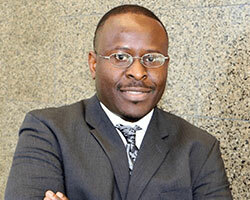 Abdul obtained his Doctor of Pharmacy degree at Texas Southern University in Houston, Texas. Learning new things with the challenges that come with them is something that Abdul genuinely enjoys and thrives off of. His family is very important to him and in many ways, they keep him grounded and motivated. One of his enjoyments is watching sports and movies when he needs to get away and relax. In his spare time, Abdul likes to travel and observe people in different cultures and nationalities. Why Harris Health System: As a pharmacy student intern at Harris Health System, Abdul developed a sense of family with department of pharmacy staff and the diverse patient population. Because Harris Health is one of America’s best community-owned healthcare systems, Abdul felt a deep connection with Harris Health System values and mission. As a teaching institution, Harris Health System fosters a dynamic environment allowing resident’s multiple direct patient care in the inpatient and outpatient setting. Harris Health System PGY1 Residency program offered Abdul an intense training environment with the opportunity to learn and grow. The preceptors are experts within their respective specialties and they foster an environment for growth and excellence. This well-rounded exposure allows residents opportunities to develop clinical and leadership skills in the world-renowned Texas Medical Center. About: I was born and raised in Georgia, and received both my Bachelors of Science in Biology and Doctor of Pharmacy degrees from The University of Georgia. I have always had a passion for leadership and mentorship, and I look forward to developing myself even more in these areas during residency. Throughout pharmacy school, I was heavily involved with community service and enjoyed serving the underserved community. My professional interests include medication safety, pharmacy operations, and ambulatory care. I love to spend time with my family and friends, meet new people, and try new restaurants in my free time. Why Harris Health System: I chose Harris Health because of the ability to have an impact across such a large health system with numerous inpatient and outpatient opportunities. I was also drawn to the family-like atmosphere and how invested Harris Health is in the growth of each resident. I am excited to learn from preceptors who are experts in their respective areas and for the opportunity to learn from leaders who are among the best, all while serving a large part of Houston’s underserved community. About: Joel was born and raised in Oklahoma City and after high-school he lived abroad in Israel for a year. Following this GAP year, he then moved to Arizona where he received a Bachelor of Science degree in biological anthropology from the University of Arizona. Joel then moved to Texas and earned his Pharmacy degree from the University of Houston. He has a passion for acquiring knowledge, traveling to new places, and meeting people with unique backgrounds. During pharmacy school, Joel led medical brigade trips in both Mexico and Peru where students provided medical care for the indigent populations of these communities. These experiences enabled him to combine his passion for experiencing new cultures and providing medical assistance to the underserved. After residency, Joel’s career aspirations are in clinical pharmacy with a focus in mental health. Why Harris Health System: Joel’s first clinical APPE rotation was at Lyndon B. Johnson General Hospital where he was inspired by the encouragement of the staff to pursue clinical pharmacy. The learning environment at Harris Health encourages staff members to help patients not only in their clinical outcomes, but also to connect to the stories behind the patient charts. About: Noel was born in Charleston, South Carolina but was raised in Sugar Land, Texas. 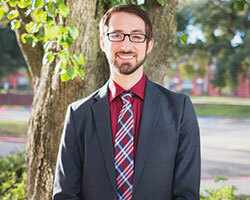 After graduating with a bachelor’s degree in microbiology at The University of Texas at Austin, Noel earned his Doctor of Pharmacy degree from the University of Houston College of Pharmacy. His professional goals after completion of the residency include providing care as a clinical pharmacist within an emergency or critical care setting and mentoring pharmacy students as a preceptor. During his free time, Noel enjoys traveling, hiking, weightlifting, photography, and music. Why Harris Health System: What drew Noel to Harris Health System was its reputation as an acute care facility and its diverse population, in which many are underserved. Noel felt a connection to the values and mission of Harris Health System, which focuses upon improving the health of those most in need throughout Harris County and beyond. As one of the forefront teaching institutions in the world-renowned Texas Medical Center, Harris Health System PGY1 allows Noel the opportunity to grow as a clinical pharmacist through challenging, yet rewarding and well-rounded inpatient and outpatient experiences. About: Bensy was born in Kerala, India and raised in Houston, Texas. She completed her Bachelor of Science in Biochemistry at University of St. Thomas before earning her Doctor of Pharmacy from Texas A&M Rangel College of Pharmacy. 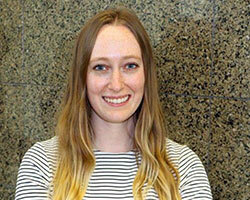 Bensy is passionate about leadership and service, appreciating opportunities that allow her to develop both aspects. In her free time, Bensy enjoys being outdoors with her pup, spending quality time with family and friends, working on personal development, and exploring other cultures through travel and food. Her clinical areas of interest include infectious disease, cardiology, and ambulatory care. Ultimately, she hopes to obtain a position with opportunities in direct patient care, interprofessional collaboration, teaching, and community outreach. Why Harris Health System: Bensy has found that working with Harris Health System for the past five years has been an exceptionally rewarding experience. She is well aware of their drive to create a culture of healthcare champions while promoting service, teamwork, and curiosity. She was drawn to the residency program's duality of acute and ambulatory care, along with the opportunity to treat underserved communities in both settings. She was further motivated by observing both the growth and the performance of past residents. 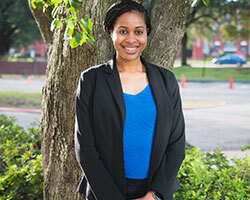 She believes that completing a residency at Harris Health System would cultivate the clinical knowledge and administrative skills needed for her to achieve her goal of becoming a well-rounded pharmacist who makes a sustainable, positive impact on patient care and supports future pharmacists.